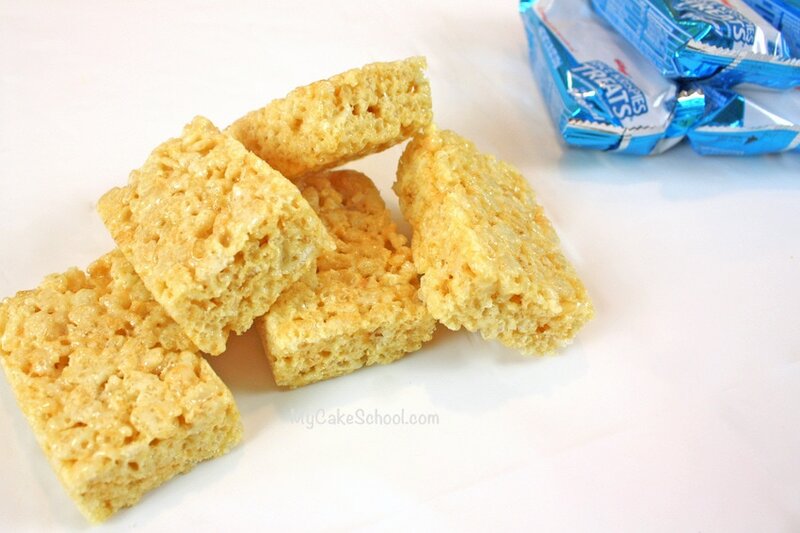 No surprise that I started with one of my favorite staples for my cake toppers–Rice Krispies Treats! 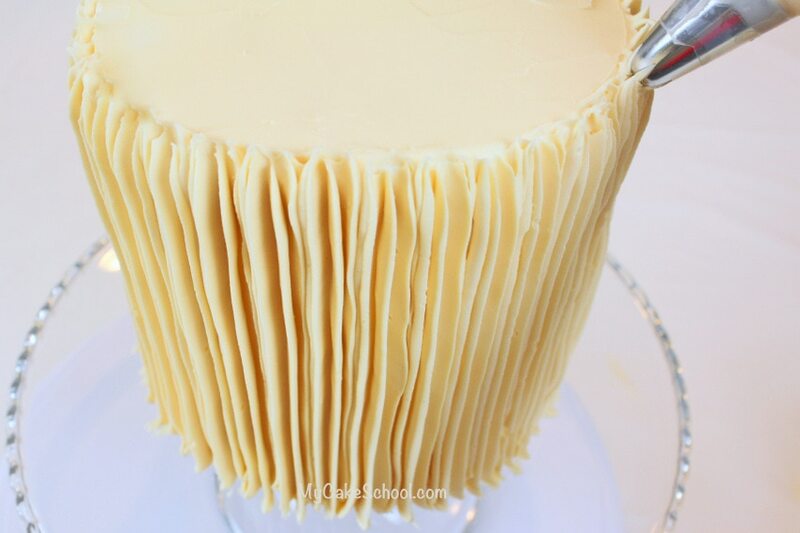 This is allows me to quickly create a stable form for our decorations without having to use a lot of fondant or gum paste. It also holds it’s shape perfectly from the start. To give you an idea of how many rice cereal treats you’ll need, it took five (22g) bars to create my largest pumpkin. I’m just going to demonstrate one of my pumpkins, since the same techniques apply to all of them. 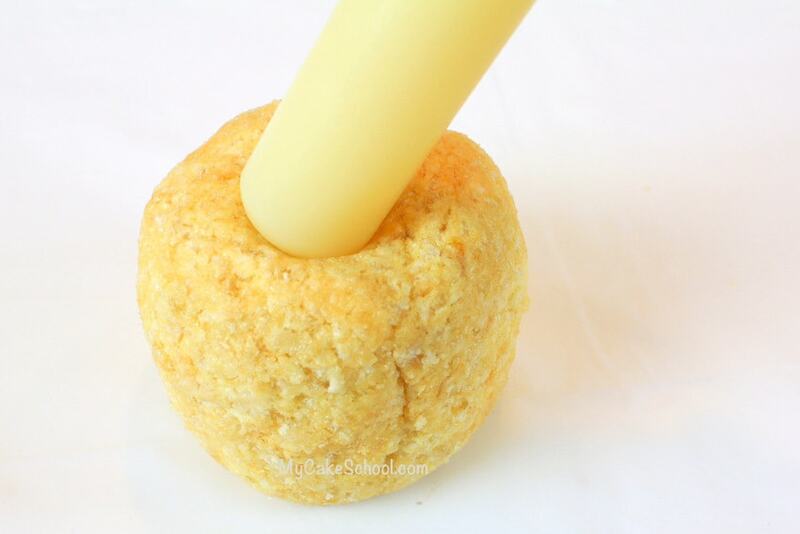 I mashed and compressed the cereal treats into a ball. 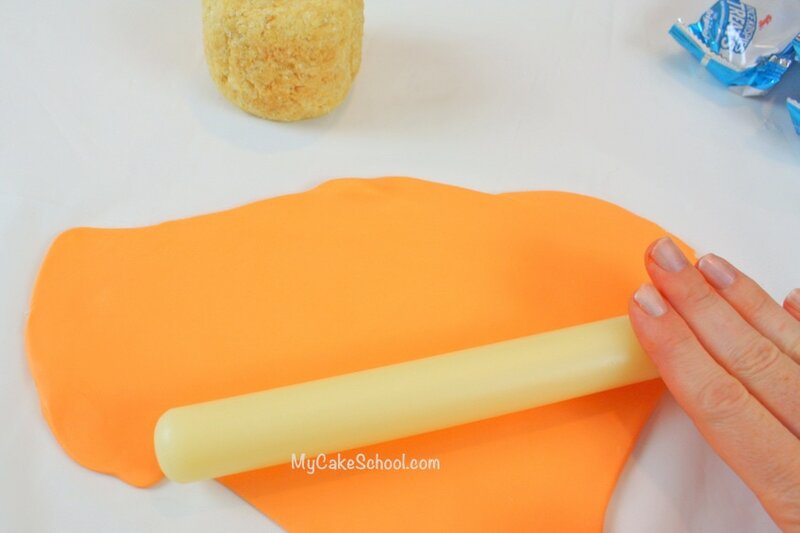 Next, I rolled out my fondant (which was tinted with Americolor Orange coloring gel) to approximately 1/8- 1/4 inch thickness. 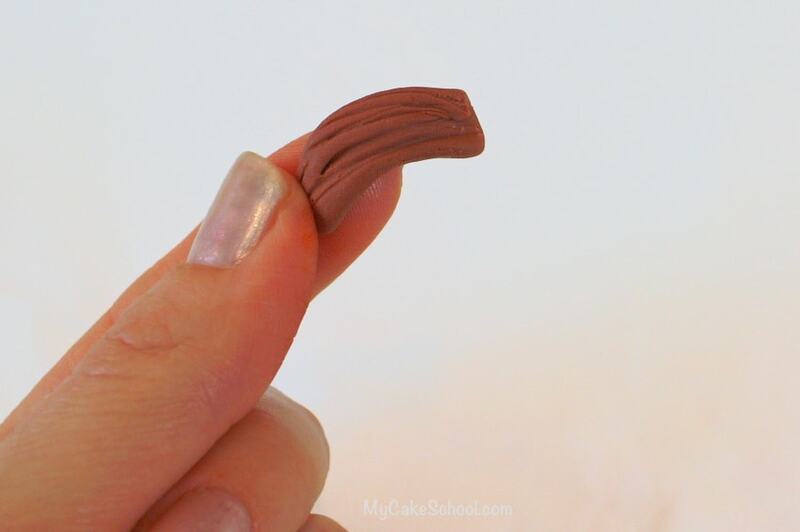 I lightly rubbed over my rice cereal treat with a little shortening so that the fondant would adhere a little better. 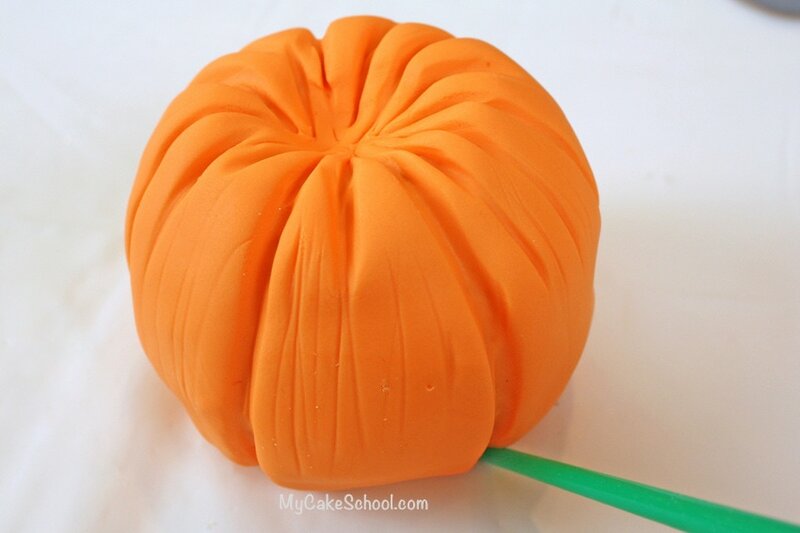 The thickness of your fondant will determine how deeply you can create impressions in your pumpkin for added detail. Next, cover your cereal treat and trim away the excess. Next, my favorite part! Adding impressions makes all the difference. I used a small paintbrush handle to create lines in the pumpkin all the way around. I used a rocking motion rather than dragging the handle across the fondant. Further into the process– You can see how the depression that I created in the top of the cereal treat earlier gives our pumpkin a nice shape. The thick impressions were made with the small paintbrush handle, and the thinner & lighter impressions were made with a toothpick. I used brown fondant (scored with a toothpick) to create our stem. 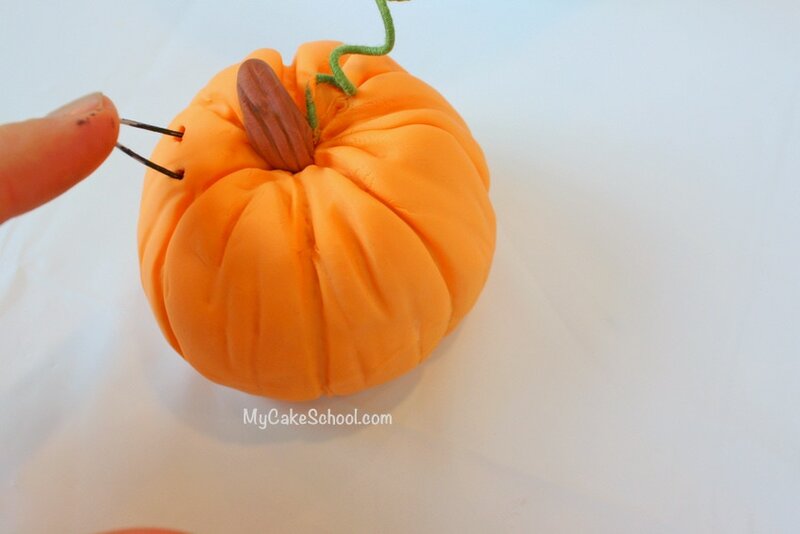 I glued it onto our pumpkin with a little piping gel (dampening with water would be fine too). I also used some green floral wire to create our pumpkin vines. Just wrap around a paintbrush handle and slide off to create the coiled look. 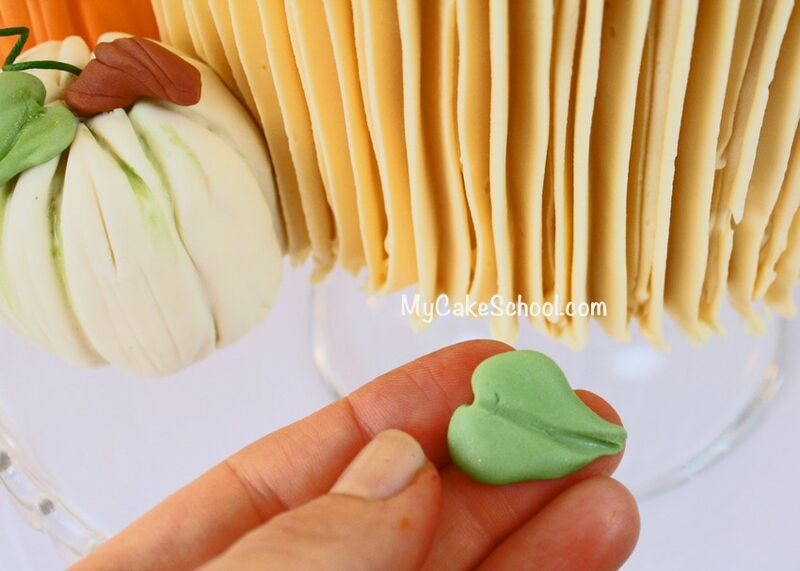 I also formed a few basic leaves by hand from fondant tinted with Americolor Avocado Green. 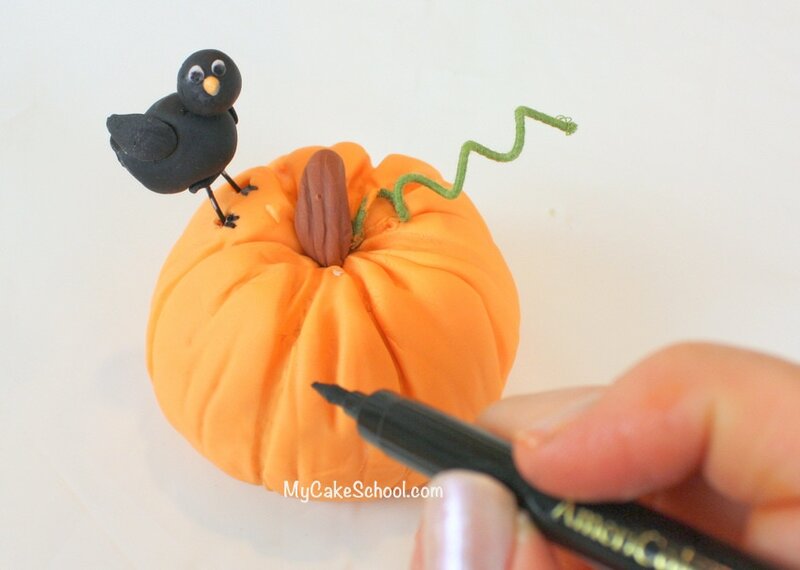 To make things fun, I decided to have a little black bird perched on one of the pumpkins. I used a piece of bent floral wire for the legs (and anchored it into the pumpkin). 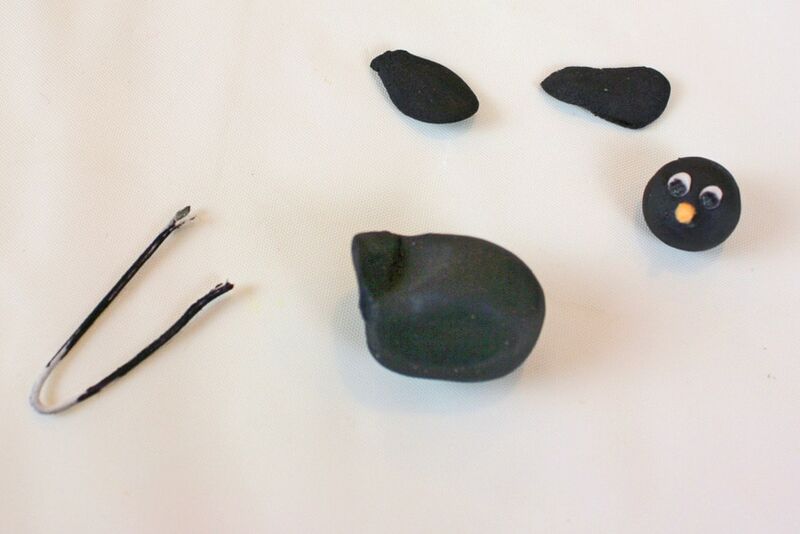 Then, I formed the other bird parts with black fondant. We’re talking VERY simple bird shapes. I used the floral wire to create a little hole in the bottom of the body of the bird, so that later it will fit properly. The eyes are fondant with a little black coloring gel pen, and the beak is a small piece of fondant. Since the bird is very small, it dried quickly–After 30 minutes, I felt comfortable with assembling the bird (piping gel was my glue) and pressing onto the wire legs. I hope that you enjoyed this little tutorial! 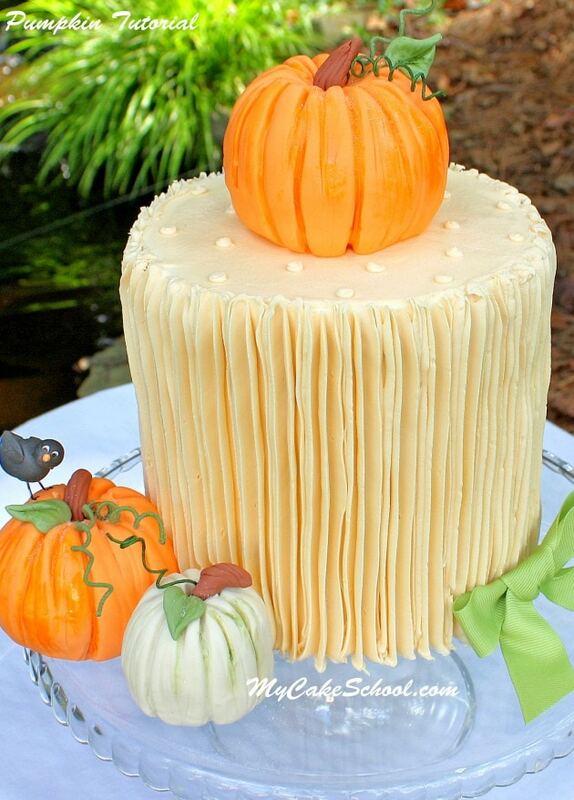 I think that this cake would be perfect for fall gatherings..and the pumpkins are so much fun to make! **I LOVE the super shiny metallic look that highlighter gives us, but the big tradeoff is that highlighter dust is not edible and should not come into contact with your cake. 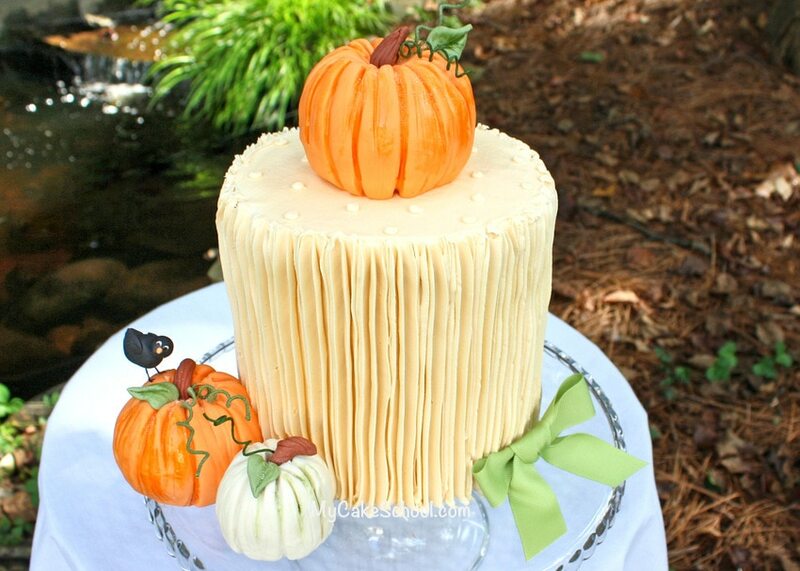 So, if you glamorize your pumpkins, just be mindful of this & don’t paint the parts of the pumpkins that will touch the cake…or at least, have a little barrier (Waxed paper, etc.). 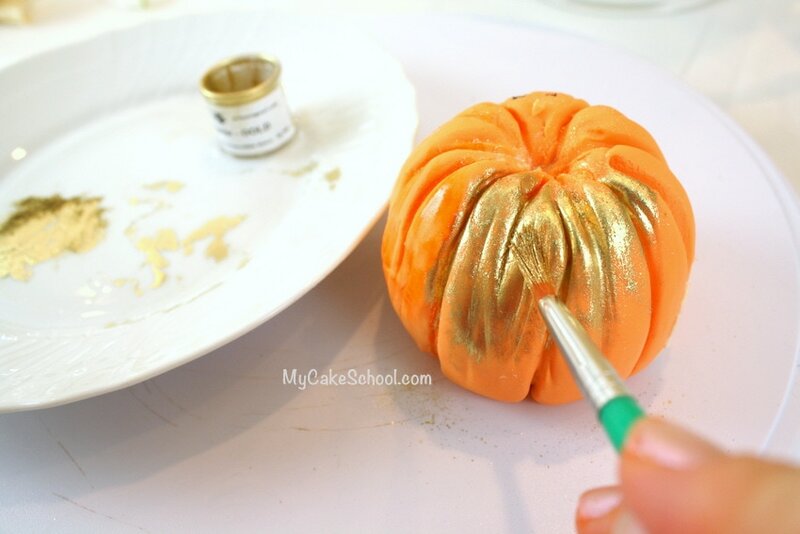 I painted our pumpkin with a paint created from gold highlighter mixed with a touch of vodka. After painting the pumpkin, I allowed it to dry before brushing over it with dry gold highlighter and a dry paintbrush. I thought it would be nice to still have some orange showing through…but in the end we decided to go all the way! 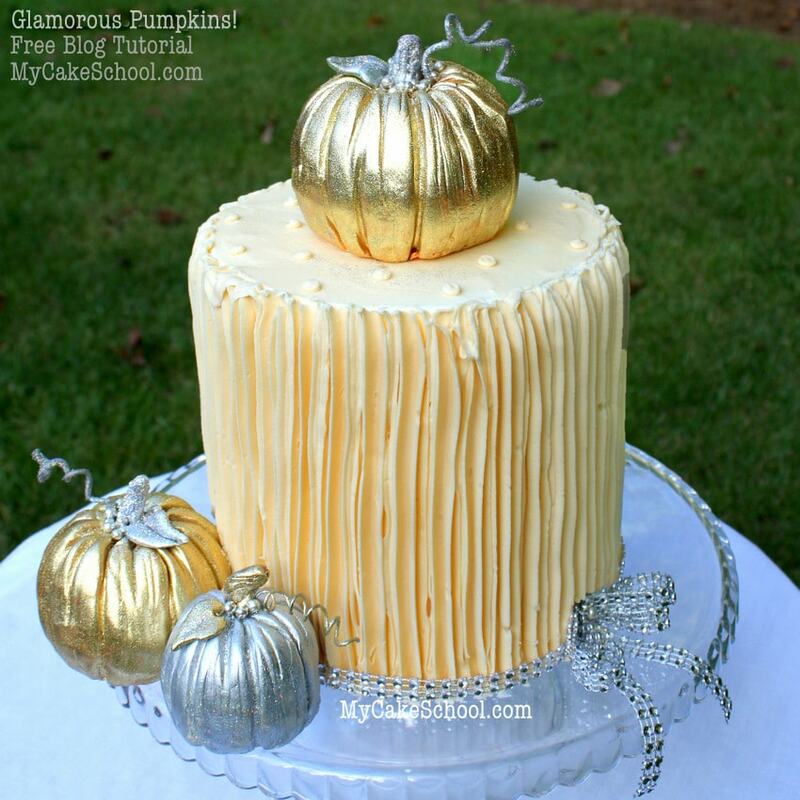 Our silver pumpkin has gold accents and our gold pumpkins have silver accents. I have some ribbon that I bought from Michael’s that is covered with rhinestones. 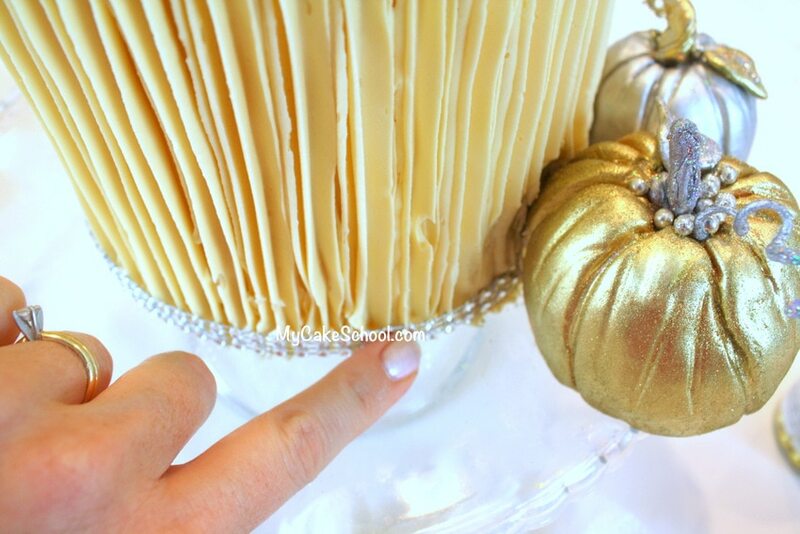 It made the perfect bling border for our dressed up pumpkin cake! I secured with a little buttercream in back. Are you ready for our shiny, new version? Here it is! I love how this one came out too. 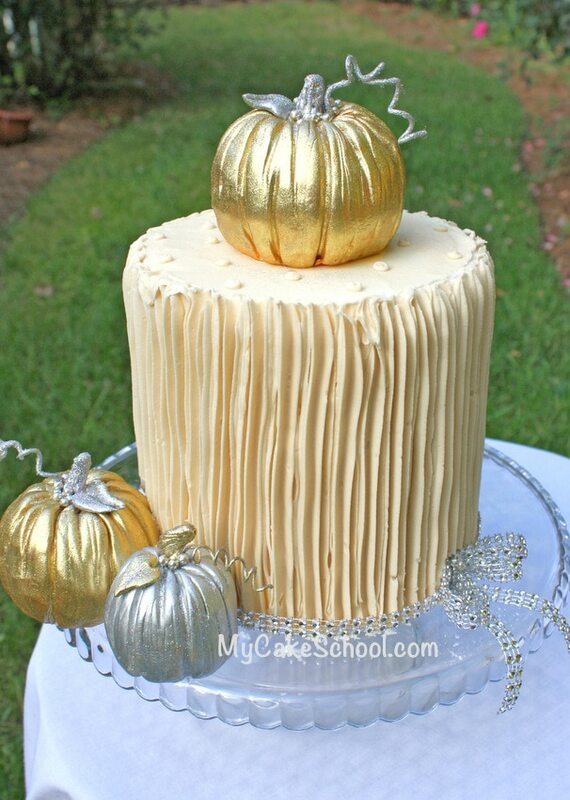 I think that a few tiers of cake accented with beautiful silver and gold pumpkins would make a lovely and unique autumn wedding cake. I hope that you’ll find inspiration in one or both of these designs and try them out for yourself! 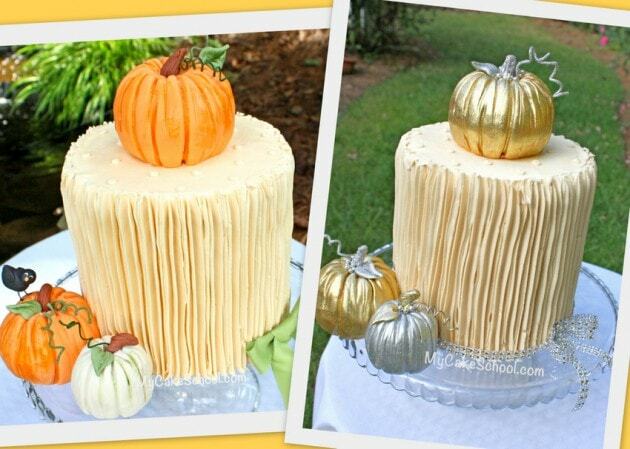 Interested in even more fall cake designs and recipes? Don’t miss our roundup of favorites! 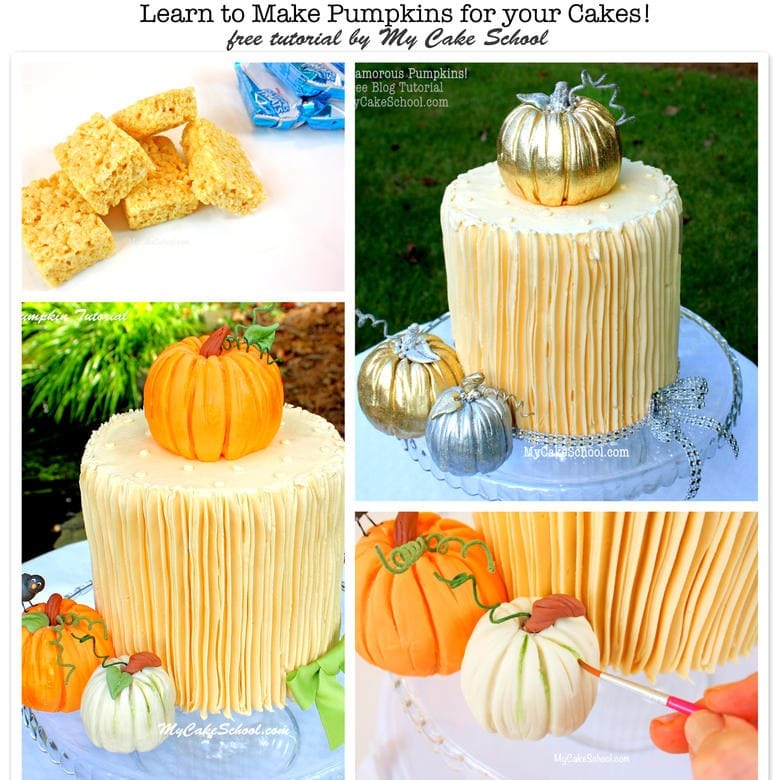 : Fall & Thanksgiving Roundup of the BEST Cakes, Tutorials, and Ideas! Thanks for stopping by! 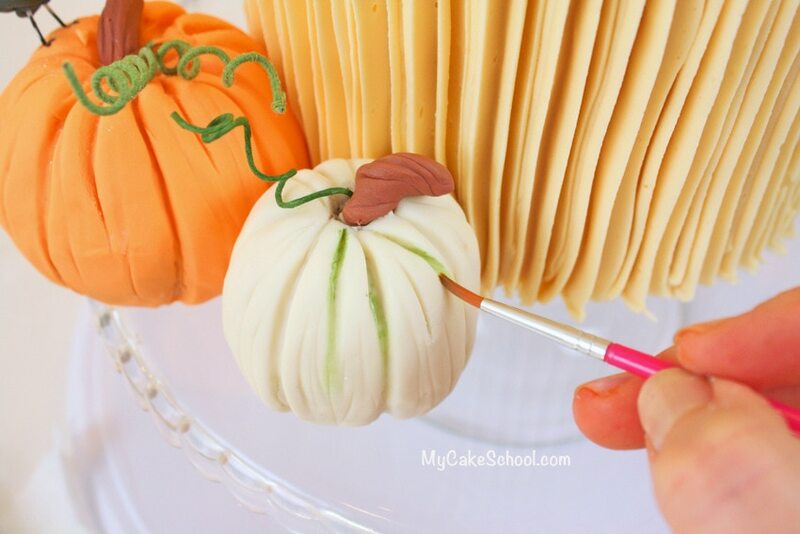 If you make pumpkin cake toppers from this tutorial, we’d love for you to post them in the comments below! 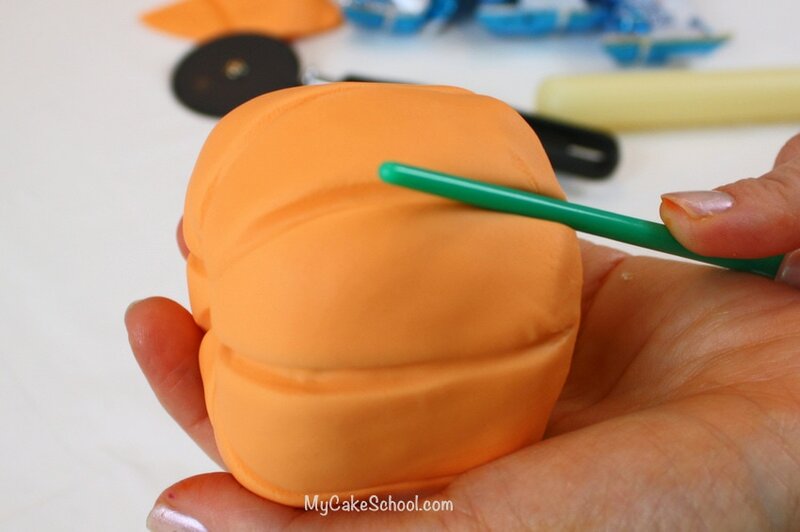 One more question, Melissa… is it necessary to put a bubble tea straw under the pumpkin topper for support? Thanks!! Hi TerriLynn, yes, you would need a bubble tea straw under the pumpkin topper. 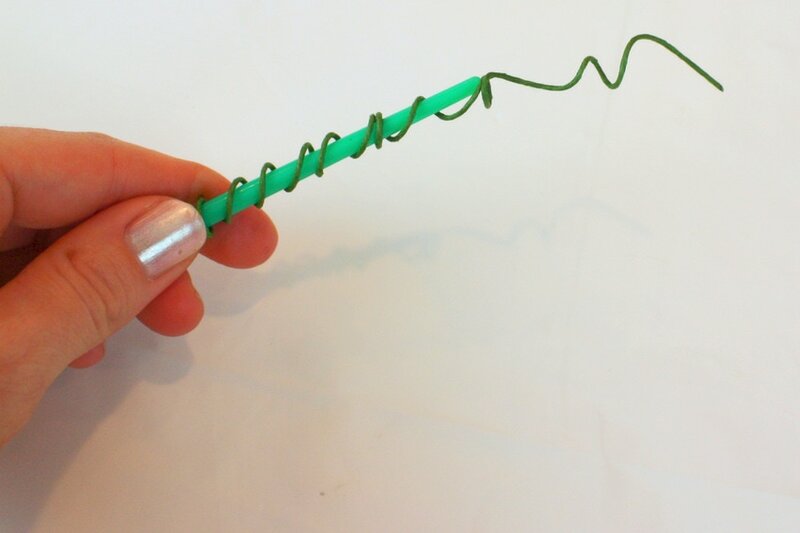 After a few hours, it would most likely start to sink a bit……you could even use a drinking straw if you don’t have bubble tea straws. 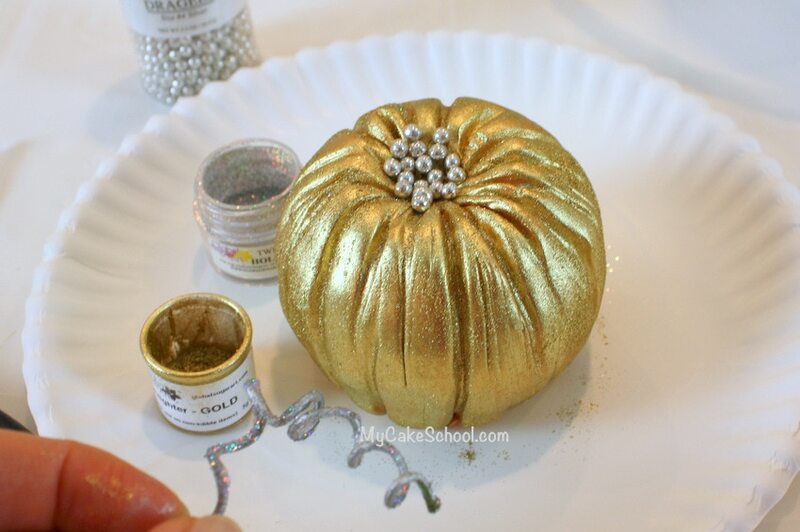 How would platinum dust work with this, I wonder for the glam pumpkins? It is fully edible comes in gold , and silver, and you can order it online. There is also the antigue gold in the crystal colors line that is also fda approved. I think I would try those for the thanksgiving cake this year. You can both of these lines really inexpensive at country kitchen sweet art..
Hi Cakeycreator- That sounds good to me! I’ve never worked with platinum dust– will have to check it out. I’m happy that you are going to make them for Thanksgiving! What kind of cake and frosting did you use ? I had a bride give me this picture for her wedding cake. I “guessed” at how to do it but was still unsure. But, thanks to tineye, the app, I was able to do a reverse image search and quickly found your fantastic tutorial. Thank you! I actually guessed correctly. That made me proud. Ha! Hi,pls tell me what did you put to rice cereal to forme a ball? Hi Aasha, We did not add anything to the Rice Krispie Treat bars. 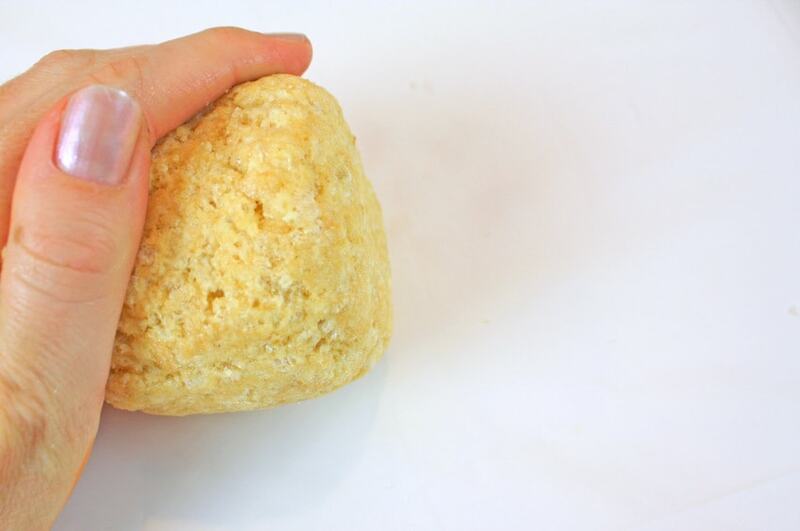 They are easily pressed together very tightly to form a ball.